Government of Maharashtra will be conducting the Common Entrance Test MH-CET-2015 for Health Sciences degree courses in Maharashtra state (i.e. MBBS, BDS, BHMS, BAMS, BUMS, BPTh, BOTh, BASLP, BP&O and BSc. Nursing, B.V.Sc. & AH courses) for the academic year starting 2015-2016. Career Nurturer helps you with aptitude tests for career guidance and career counselling for students of class 12th. 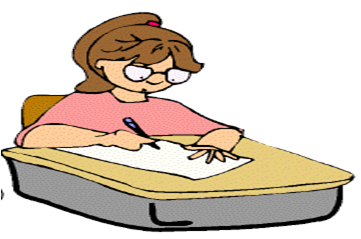 For details please call Career Nurturer on 9833971773 for aptitude test assessment. Farzad Minoo Damania (Career Counsellor and Founder - Career Nurturer) talks about making a career in field of visual merchandising in India. Mr. Farzad Minoo Damania provides Aptitude Tests for Career Guidance and Career Counselling for students from class 9th up to graduates in Mumbai, Navi Mumbai and Thane areas. We all love to shop in malls and retail stores during weekends and during festivals such as Diwali, Christmas, New Year and wedding seasons. While shopping, you will come across wonderful attention seeking outdoor and indoor props, window displays and mannequins. Do you know who works behind these aesthetic displays? This is the job of a visual merchandiser. Visual merchandising has become an important and integral part of fashion and retail business. 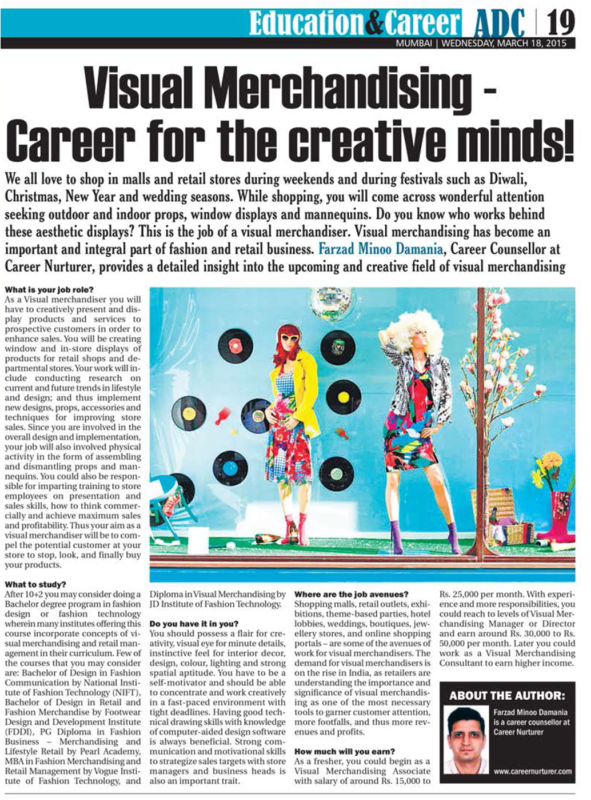 Farzad Minoo Damania, Career Counsellor at Career Nurturer, provides a detailed insight into the upcoming and creative field of visual merchandising. As a Visual merchandiser you will have to creatively present and display products and services to prospective customers in order to enhance sales. You will be creating window and in-store displays of products for retail shops and departmental stores. Your work will include conducting research on current and future trends in lifestyle and design; and thus implement new designs, props, accessories and techniques for improving store sales. Since you are involved in the overall design and implementation, your job will also involved physical activity in form of assembling and dismantling props and mannequins. You could also be responsible for imparting training to store employees on presentation and sales skills, how to think commercially and achieve maximum sales and profitability. Thus your aim as a visual merchandiser will be to compel the potential customer at your store to stop, look, and finally buy your products. After 10+2 you may consider doing a Bachelor degree program in fashion design or fashion technology wherein many institutes offering this course incorporate concepts of visual merchandising and retail management in their curriculum. Few of the courses that you may consider are: Bachelor of Design in Fashion Communication by National Institute of Fashion Technology (NIFT), Bachelor of Design in Retail and Fashion Merchandise by Footwear Design and Development Institute (FDDI), PG Diploma in Fashion Business – Merchandising and Lifestyle Retail by Pearl Academy, MBA in Fashion Merchandising and Retail Management by Vogue Institute of Fashion Technology, and Diploma in Visual Merchandising by JD Institute of Fashion Technology. You should possess a flair for creativity, visual eye for minute details, instinctive feel for interior decor, design, colour, lighting and strong spatial aptitude. You have to be a self-motivator and should be able to concentrate and work creatively in a fast-paced environment with tight deadlines. 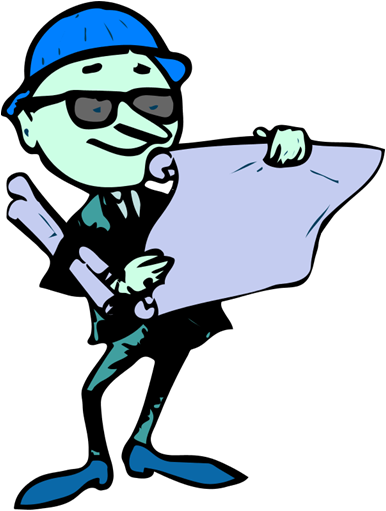 Having good technical drawing skills with knowledge of computer-aided design software is always beneficial. Strong communication and motivational skills to strategize sales targets with store managers and business heads is also an important trait. Where are the job avenues? Shopping malls, retail outlets, exhibitions, theme-based parties, hotel lobbies, weddings, boutiques, jewellery stores, and online shopping portals – are some of the avenues of work for visual merchandisers. The demand for visual merchandisers is on the rise in India, as retailers are understanding the importance and significance of visual merchandising as one of the most necessary tools to garner customer attention, more footfalls, and thus more revenues and profits. As a fresher, you could begin as a Visual Merchandising Associate with salary of around Rs. 15,000 to Rs. 25,000 per month. With experience and more responsibilities, you could reach to levels of Visual Merchandising Manager or Director and earn around Rs. 30,000 to Rs. 50,000 per month. Later you could work as a Visual Merchandising Consultant to earn higher income. What after 10th /12th /Graduation? 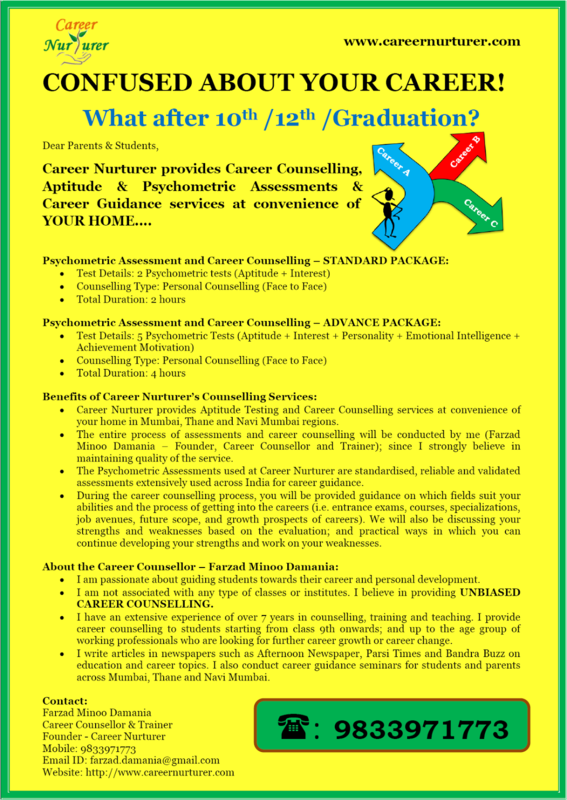 Career Nurturer provides Aptitude Testing and Career Counselling services at convenience of your home/office. The entire process of assessments and career counselling will be conducted by me (Farzad Minoo Damania – Founder, Career Counsellor and Trainer); since I strongly believe in maintaining quality of the service. The Psychometric Assessments used at Career Nurturer are standardised, reliable and validated assessments for career selection. During the career counselling process, you will be provided guidance on what fields suit your abilities and the process of getting into the careers (i.e. entrance exams, courses, specializations, job avenues, future scope, and growth prospects of careers). We will also be discussing your strengths and weaknesses based on the evaluation; and practical ways in which you can continue developing your strengths and work on your weaknesses. I am passionate about guiding students towards their career and personal development. I am not associated with any type of classes or institutes. I believe in providing UNBIASED CAREER COUNSELLING. I have an extensive experience of over 7 years in counselling, training and teaching. I provide career counselling to students starting from class 9th onwards; and up to the age group of working professionals who are looking for further career growth or career change. I write articles in newspapers such as Afternoon Newspaper, Parsi Times and Bandra Buzz on education and career topics. I provide career guidance seminars to students and parents across Mumbai, Thane and Navi Mumbai areas. Bachelor of Architecture (B.Arch.) is five year full time degree program offered by University of Mumbai. Here is a list of Bachelor of Architecture (B.Arch) colleges in Mumbai associated to Mumbai University. Students who want to take admission to 1st year of B.Sc. 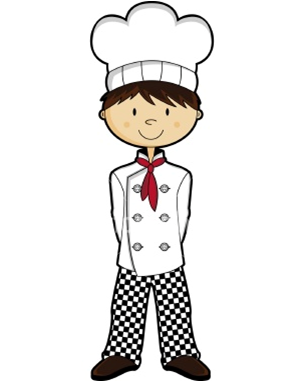 in Hospitality and Hotel Administration course affiliated to Institute of Hotel Management (IHM) for the academic year starting 2015 -16 have to appear for the Joint Entrance Examination (NCHMCT JEE – 2015) conducted by the National Council for Hotel Management and Catering Technology (NCHMCT).